Progress Lighting Modular fluorescent fixture in white finish, features steel construction. It accommodates two 32-Watt F32T8 fluorescent lamps. This fluorescent fixture features 27-3/8-Inch x 27-1/4-Inch white acrylic soft cloud diffuser that brings elegance to the home. The bi-pin twist-in base lamp has voltage rating of 120-Volts. 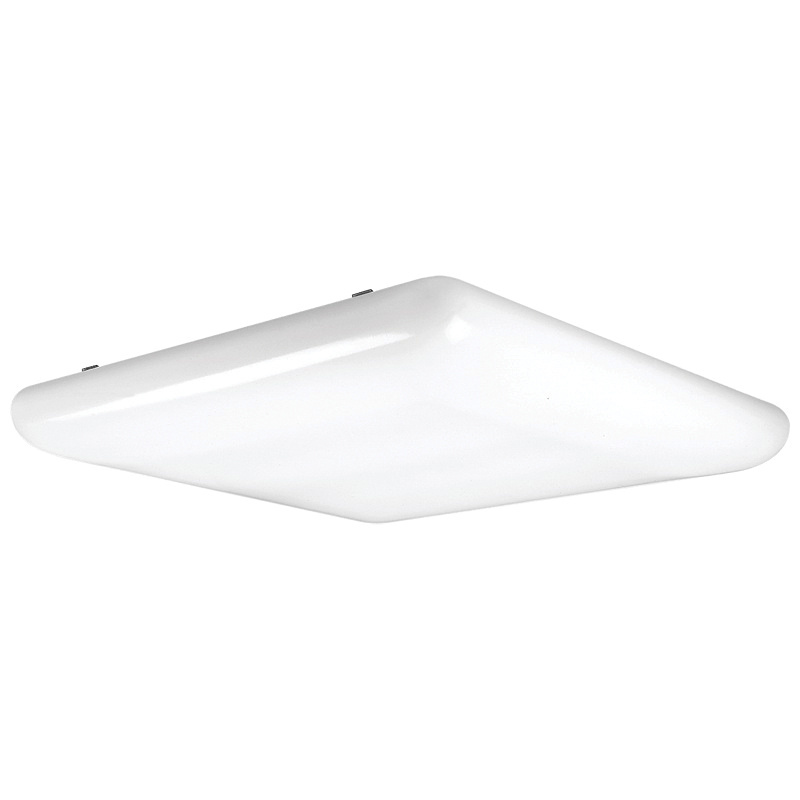 The ceiling mount fixture with NFP electronic ballast, has a dimension of 27-3/8-Inch x 27-1/4-Inch x 5-1/16-Inch. Fluorescent fixture is UL/cUL listed.